Oh, I really want this drink server! It is from Room Service Home and only $79! I say only because I really like it! 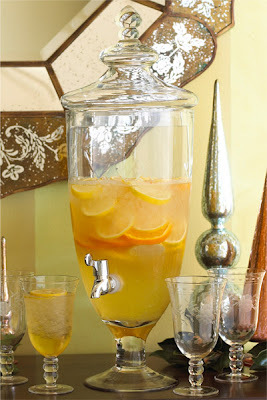 I have been looking for a spigot drink server for quite some time, but have not found one that was either the right price or the right look. I simply adore this one, but it is not in my budget this month... So now that I have revealed the kitchen/party item that I have been lusting over, what would you buy to help you host your holiday parties if you could get anything?